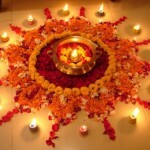 Diwali is the time when we clean our homes and look forward to decorate them for the festival. We have bought you few simple decor ideas which will help you to decorate your space and that too very easily. Flowers in water- You can take any bowl or utensil which is slightly deep and fill water in it. 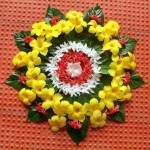 Now float few fresh flowers in water, you can add anything like petals of the flowers, crushed leaves, whole flowers etc. 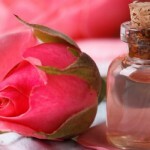 Adding a few drops of your favorite essential oil will make it more fragrant, otherwise the fragrance of the flowers will also be good enough to make your room fresh. You can also add in few floating candles and lit them at night. 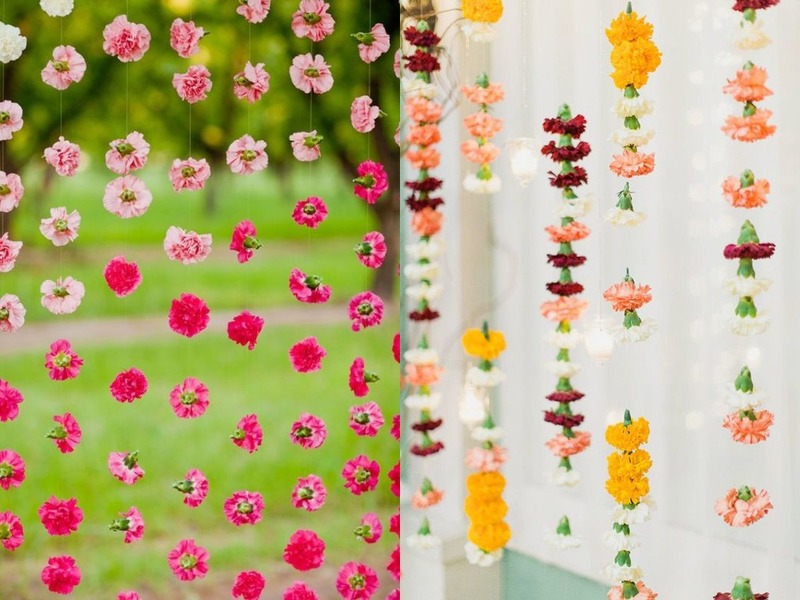 Flower strings-You can use paper flowers or even fresh flowers to make these strings. Decide your theme and use the colors of the flowers accordingly. You can use flowers and buds and even mix and match their colors for a vibrant look. You can use these strings to decorate the walls or can even make a fake partition to divide the areas in the living room. 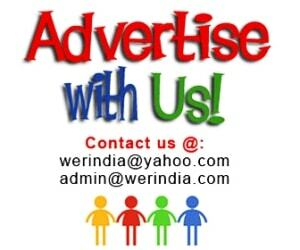 Rangoli– Decorate your home with colorful rangoli designs. Making them is considered auspicious and you can make them with rangoli designs, eatables like atta, suji, haldi etc. Fresh flowers, leaves can also be used to create beautiful designs. Make them to beatify entrance of home, pooja room, corners. Mitti Ka Diya– Diwali is incomplete without them, they are the soul of this festival. They come in many designs and shapes and are also available in colorful versions. 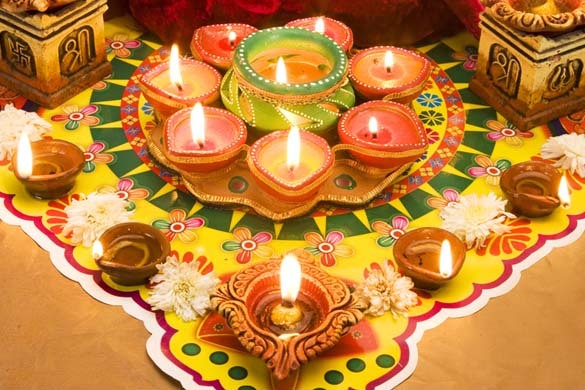 You can also create customized diyas by painting and decorating them in different colors and designs.